Not only do I want to supply my CSA and Farmers' Market customers with the best chicken ever, I want customers all over the world to taste how good this chicken is. I cannot do that alone. What I am proposing is to have YOU grow chickens with me to help me reach my goal. How am I going to calculate this? Assume that anyone who buys my book Stress-Free Chicken Tractor Plans is going to build at least one chicken tractor. If each chicken tractor comfortably raises 25 broiler chickens. With enough of us we can hit one million chickens in no time. Real change comes by many people doing simple acts. 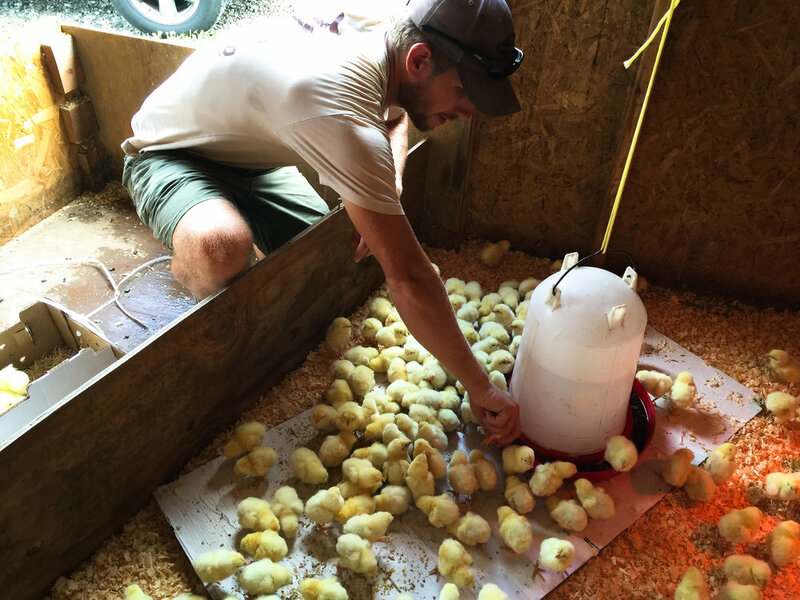 Raising chickens for meat can be enjoyable, profitable, and delicious. It's time we spread the message about chicken that ACTUALLY tastes like chicken. A good pastured poultry operation starts with a good shelter. My design has been tested across the country by farms large and small. Easy to stand in, light and easy to move, durable in bad weather, hard for predators to get in.